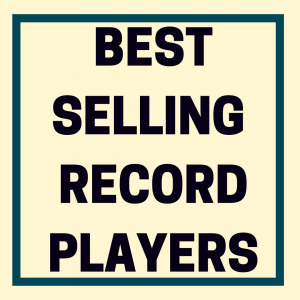 Congratulations, you’re buying a new turntable. Feels good to say that, right? And it should. 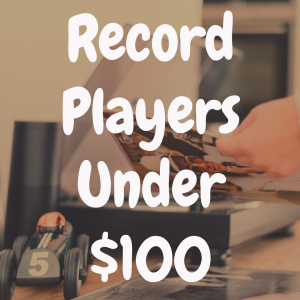 If you’re a true vinyl aficionado or a just catching up to the recent vinyl craze, there’s never been a better time to be looking for a record player. 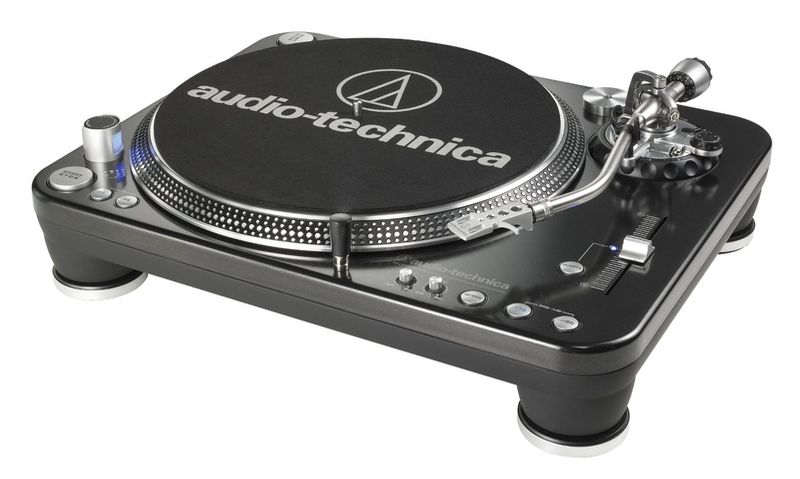 Whether you’re upgrading your steady everyday player or dipping your toe into the world of professional DJs, the Audio-Technica AT-LP1240-USB is a table that’s probably on your radar. If not, let’s put it on your radar now, ‘cause the AT-LP1240-USB is a dynamite entry-level turntable for DJs. And it’s well worth your attention. But how much attention should you give it, and is it worth the money (about $450) you’d be spending on it? Only you can answer that question. But I’m more than happy to help you decide. Tonearm – Right off the bat, the AT-LP1240-USB sets itself apart with its weighted aluminum, s-shaped tonearm that helps reduce tracking inaccuracy. 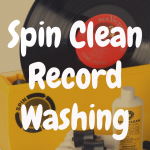 It also features a lift-control lever with hydraulics that ensure you will never drop your needle too heavily onto the record. That tonearm also features a counterweight and anti-skating measures that allow control over how much downward pressure is on your vinyl and more control over skipping. Those features will come in handy if you’re looking to do some heavy scratching, but they also enhance audio accuracy, which is great. But the best feature of the AT-LP1240-USB’s tonearm is the height adjustment mechanism. Why is this important, you ask? Next time you thumb through your record collection, take into account the weight of your discs. Are they 180g? 200g? Maybe they’re a little older and hover around the 80g range. 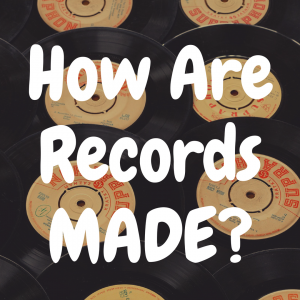 The point is, records at different weights come in different thickness. 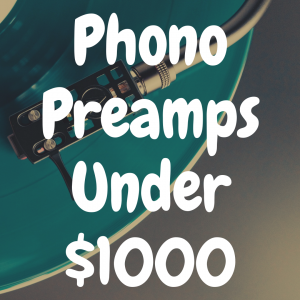 Your tonearm and needle will sit differently on an 80g record than a 180g. Adjusting the height of the tonearm gives you more control over downward pressure and produces a purer audio experience. And if you’re up for a night of battling, that may be the savior of your precious battle wax. Keep in mind that with all of these features, the AT-LP1240-USB tonearm will require some assembly, which can be frustrating for newcomers and pros alike. And of course, as this deck is geared toward DJing, there’s no automatic functionality. Platter & Motor – You may have noticed that many of the AT-LP1240-USB’s features are geared towards accuracy in sound, tracking and speed. These categories are as vital to a DJ’s dance floor flow as they are to your Uncle Joe’s basement jam sessions. It should come as no surprise that the motor and platter offer the same support. The platter is made of weighted-cast aluminum. Coupled with the deck’s heavy-duty, rubberized base, this deck is extremely well-balanced and offers pin point rotational accuracy. You’ll be able to judge that accuracy with the strobe dots around the platter’s edge and the strobe light reflecting off of them. This is a great feature if you’re a DJ and you actually need to track spin control. If you’re not using this deck to DJ, you will never need this feature. But it does look cool—and that may be of importance to you. The LP1240-USB’s platter mounts directly on the motor’s shaft, which means there’s no fussing about with an electric drive belt. But that also means a direct drive motor, which results in extra noise and rumble. While the LP1240’s direct drive is quieter than most, keener ears will pick up on a bit of noise during playback. If you’re in the club and people are shredding the dance floor, this likely will not be an issue. That being said, the LP1240-USB’s direct drive also features outstanding startup time and reaches desired spin speeds in less than a second. And you’ll have an easy time controlling those starts/stops and speeds with the ATLP1240-USB’s push button controls. Amp – The LP1240-USB also comes with a built-in phono pre-amp, so you can plug it right into an audio system at home or at the club. You can even plug it into your desktop computer if you like. However you want to play, you can save yourself a chunk of change by not needing to purchase an external pre-amp. But the best thing about the LP1240’s built-in pre-amp is that you can bypass it with the flip of a simple switch—so if you want to go out and buy a top of the line amp to upgrade your listening experience, go right ahead. Software – For those of you looking to digitize your vinyl collection, the AT-LP240-USB does feature USB connectivity. Before I go on, I would ask you to consider why you want to digitize your records. Do you really need to spin that disc into the digital realm? If you answered yes, the award-winning Audacity software that works in conjunction with the AT-LP1240-USB is a solid bit of software and as good as you can get on the digitizing front. 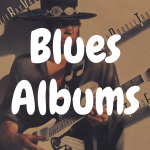 It can also be downloaded to your PC at no cost—that means FREE! Even if you’re not interested in digitizing, you may want to give it a shot just for that reason. Cartridge & Stylus – Now for some bad news. 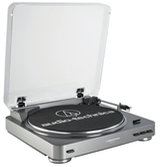 The AT-LP1240-USB is a cartridge-sold-separately turntable. If you’re already a presence on the DJ scene, that won’t be a problem as you’ve likely got a cache of cartridge/stylus packages at your disposal. If you’re upgrading your deck, you’ll want to take this into consideration as those cartridge packages can be quite costly. The good news is that the LP1240-USB does come fitted with a universal head-shell, so you shouldn’t have any trouble finding a cartridge that works for you. It’s also good news for fans of 78 RPM records—as those discs require a special monophonic cartridge. You’ll be able to switch cartridges back and forth with ease and never miss a beat. With all of those fancy options, one question still remains—how does the LP1240-USB sound? 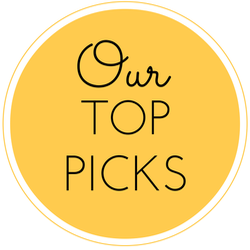 After all, sound quality is the key selling point for the industry award-winning deck. Outside of its powerful, built-in pre-amp and high-end tonearm construction, the LP1240-USB features a selectable high-accuracy quartz controlled pitch lock and pitch change slider control that allow you to fine-tune your listening experience. If you’re looking to DJ, do not undervalue these features. With all of those components, you shouldn’t have any problem bringing some heat to the dance floor. But you may not have the same effect on the home front. So make sure to spend a little extra time and money on your speaker search. With a sleek, high-gloss finish and a sturdy overall feel, the AT-LP1240-USB is easily the best looking deck in the Audio-Technica line. It is a bit larger than your average deck, though. While that’s great for showing off in the DJ booth, it may not be ideal for your living room. With all of that in mind, let’s see how the AT-LP1240-USB stacks up against a couple of its less bulky DJ-ing competitors—the Stanton St-150 and the Technics 1200. On the surface, there’s not much different between these three decks. All three offer high-torque direct-drive motors, slide pitch control, easily replaceable cartridges, etc. The LP1240-USB tries to combine many of the finer qualities of those competitors into a single deck. But if you’re looking closely, you’ll notice that there’s a substantial price difference with the Stanton and Technics models coming in at around $600. So, where’s that extra money going? First and foremost: construction. Even with the AT-LP1240-USB’s sturdy build, the rubberized portions look and feel a bit odd when compared with the ST-150 or the 1200. Those decks both feature heavy-duty die-cast aluminum and are built to take a beating. If the At-LP1240-USB looks like a tank, the Stanton and Technics models are actually built like a tank. That heavy-duty material makes for a perfectly balanced platform and virtually eliminates the risk of skipping. It also helps limit feedback caused by unwanted vibration and helps dampen motor noise. That barely distinguishable rumble I mention with the AT-LP1240-USB is non-existent in the Stanton and Technics models. You could do jumping jacks a foot away from these decks and never worry about skips or distortion. That may come in handy when the dance floor is bumping. If you’re looking at the ST-150, you’ll also see significant upgrades in other key areas—particularly in the cartridge area. First and foremost, the Stanton actually comes with one. The Stanton team have fitted their deck with the 680HP cartridge, which is one of the best cartridges in existence. The Stanton also bests that 1240LP-USB in terms of design and ease of use. Both decks feature push button controls for speed changes, pitch select, braking, key locking and spin reverse function, but the Stanton’s are easier to see and easier to reach, making the ST-150 the most user friendly DJ deck on the market. While the LP1240-USB and ST-150 lead the market with bells and whistles, the Technics 1200 rules in terms of pure quality. That has a lot to do with the 1200’s no-nonsense design. But the similarities don’t extend much further than the cosmetic. If the ST-150 and LP1240-USB take a more kitchen-sink approach to functionality, the Technics 1200 is just the opposite. The 1200’s compact, minimalist design eschews most of the switches and buttons that muddy up the look of the LP1240-USB. That allows for less negative space in the 1200’s construct and ensures that almost no vibration will interfere with the sound produced. But my favorite feature with the 1200 has to be the platter construct. Rather than building a direct-drive system that merely spins the platter, the 1200 fully incorporates the platter into the motor. Fewer moving parts means considerably less noise, ridiculously accurate speeds and unparalleled responsiveness. 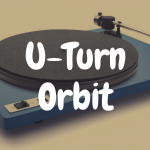 When your spinning wax for a dance-hungry crowd, these features are invaluable. And Audio-Technica’s AT-LP1240-USB doesn’t quite compete. Of course, the Technics 1200 was recently discontinued, so if you’re thinking of buying one, do not delay. I must say, the AT-LP1240-USB is one of the sexiest decks in the Audio-Technica line. Boasting big sound, tough construction and user-friendly DJ features, the AT-LP1240-USB comes highly recommended. If you’re looking to crack into the DJ game, the AT-LP1240-USB is an excellent jumping in point. But if you’re in the market for a durable everyday deck, it’s likely too much turntable for you. If that’s the case, have a look at the LP1240-USB’s kid brother, the AT-LP120-USB. It’s not as tough as the LP1240-USB, but it’s a solid entry-level DJ option that will still satisfy.